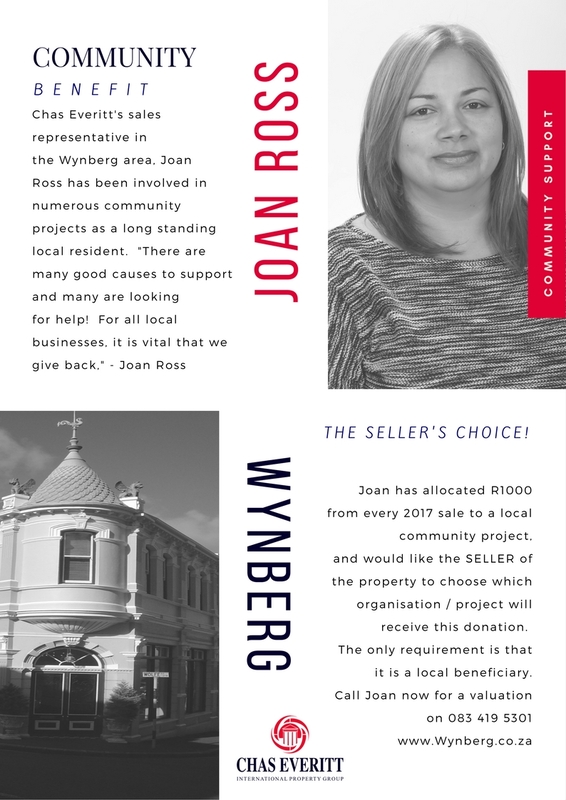 Community Benefit – Joan Ross has allocated R1000 from every 2017 sale to a local community project, and would like the SELLER of the property to choose which organisation / project will receive this donation. The only requirement is that it is a local beneficiary. Those thinking of selling that would like Joan to give them a valuation can contact her on 083 419 5301.